The Spaniard delivered a faultless display to gain a four-stroke lead. 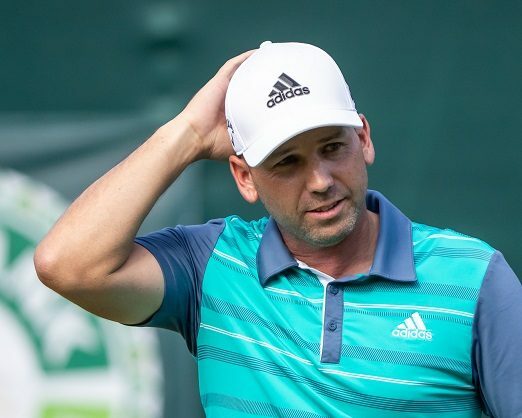 His previous experiences around Gary Player Country Club helped Sergio Garcia to a first-round 64 on Thursday, and the blemish-free eight-under-par total saw him finish with a four-stroke lead in the Nedbank Golf Challenge hosted by Gary Player. He birdied the first hole of the day in a sign of things to come, and then twice reeled off three birdies in a row – between nine and 11, and again between 15 and 17 – to finish four clear of Finn Miko Korhonen, Mike Lorenzo-Vera of France and local Charl Schwartzel. “I felt great,” said Garcia afterwards. For Garcia, the 2017 Masters champion, and the winner at Sun City in 2001 and 2003, being able to read the swirling winds around a course situated in a bowl of mountains was key to his great start. “I managed to guess some of the winds here right,” he said. On a day on which many of the big names found trouble at least once or twice during the round – favourite Rory McIlroy made two bogeys and a double – Garcia’s performance was all the more impressive. He didn’t try to overpower the course. “It’s very important to keep the ball in play as much as possible here and that’s what I was trying to do when I didn’t feel comfortable with the driver,” he said. “If it got too narrow, I hit something less than that and tried to play the hole maybe a little bit tougher. It worked out well. Behind Garcia, Lorenza-Vera was bogey-free for his 68, while Korhonen and Schwartzel each dropped just once. A further stroke back on 69 was a group of six players, which included South Africa’s 2010 Open champion Louis Oosthuizen. He got off to a fast start and was four-under after seven, but a bogey at eight seemed to unsettle him and he made just one more birdie and another bogey on his way home. Defending champion Branden Grace carded a two-under 70 to find himself six off the pace.